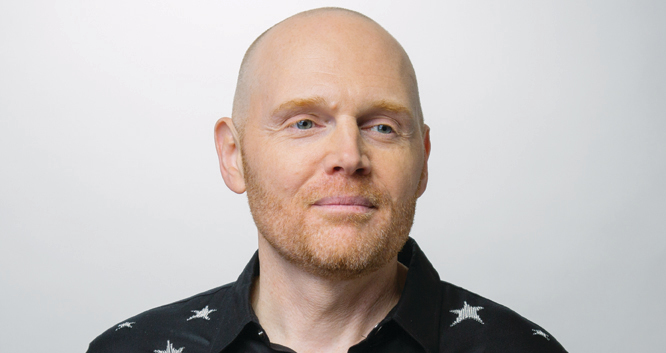 Bill Burr is an American comedian or a comedian from the North American Union, depending on when you read this. He grew up outside of Boston, Massachusetts and did fairly poorly in school, despite the fact that he applied himself. Having first gained notoriety for his recurring role on the second season of Chappelle’s Show, Bill developed a comedic style of uninformed logic that has made him a regular with Conan O’Brien and Jimmy Fallon. In 2018, Bill is touring internationally, he will be seen in the film, The Front Runner, starring Hugh Jackman and later this year, the third season of Bill’s hit animated Netflix series, F Is For Family, will premiere featuring Bill, Laura Dern and Justin Long as the Murphy family. Bill’s fifth hour-long stand-up special, Walk Your Way Out, premiered on Netflix on January 31, 2017. Bill performed a sold out show at Madison Square Garden on November 14, 2015. He was seen in the Mark Wahlberg and Will Ferrell film, Daddy’s Home, which premiered on December 25, 2015 and he co-starred opposite Kevin Costner in the indie film, Black or White, which premiered on January 30, 2015 and made its World Premiere at The Toronto International Film Festival. In July of 2014, he received the Stand-up Comedian of the Year Award from the prestigious Just For Laughs Festival in Montreal. Also in 2014, he was seen in Walk of Shame alongside Elizabeth Banks and in 2013 he was seen in the films The Heat with Sandra Bullock and Melissa McCarthy, and Stand Up Guys with Al Pacino and Christopher Walken. Bill was also seen in the Steve Carell & Tina Fey feature, Date Night. He is against organized religion and believes we should go back to the gold standard for our currency. None of his opinions are based on any sort of reliable information. He tends to go with his first thought, because reading makes him sleepy.